We are one school with three educational sites that individually serve the needs of young people with a wide range of physical, medical, emotional and learning difficulties. Each of our sites has its own unique character. 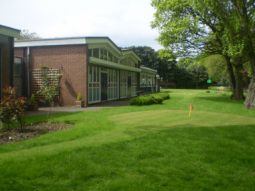 Sandfield Park caters for pupils with physical disabilities and a wide range of associated learning difficulties. 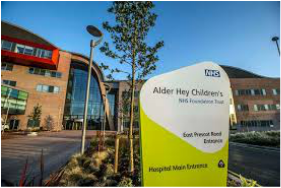 The Hospital School situated at Alder Hey teaches children who are patients on the hospital wards. The Alder Centre for Education formerly 'Medical Needs Education Support', ACE provides an education for students who live in Liverpool and cannot attend their own school for medical reasons. Please click on the link to enter the individual webpage for each of our sites. You will see at the top of this home page a link to the School Angel Website. This is a UK Charity to bring the power of big business fundraising to help schools. Please click on this link so that you can access the websites of various UK Retailers to make any purchase that you wish. By going through our website you can raise money for our three schools. Every penny of profit raised through School Angel goes to help our children. "The school has demonstrated strong practice and marked improvement in specific areas. This may indicate that the school has improved significantly overall." Any queries should be directed to Mrs K Leahey, School Business Manager.